The Belfry Hotel & Resort is launching a unique series of events over the next five months, which provides the rare opportunity for amateurs and professionals to compete against each other on the legendary Brabazon course. The Winter Series consists of monthly events, starting in November, where competitors can compete for a prize fund of up to £500. Following The Belfry’s recent 30th Ryder Cup anniversary, this new series provides the perfect opportunity for you and your friends to create your own memorable moments at the legendary four-time Ryder Cup host venue, whilst keeping your game sharp in a competitive format over the off-season. All competitors will compete in an individual stableford format, and welcomes professionals and amateurs of all abilities, up to an 18 handicap. Prizes will be awarded at each individual event, and scores will also contribute to an overall Order of Merit, the final standings for which will be based upon the best four stableford scores over the four events. The events will take place on 10th November, 8th December, 12th January, 9th February and 8th March and entry costs £50 for non-Belfry members and £40 for Belfry members. Places are filling fast, so it is important to get your entries in as soon as possible to avoid missing out on this unique opportunity. Practice rounds will also be offered to competitors for a discounted rate of £25 in the week leading up to the event. Alongside the Ryder Cup, The Brabazon course has played host to numerous high-profile European Tour events over the years, including the Quinn British Masters from 2006-08, and seen an illustrious list of winners. The Winter Series gives you the opportunity to put your name alongside the likes of Lee Westwood, Paul Casey and Henrik Stenson, who have all had success at the famous Midlands venue. 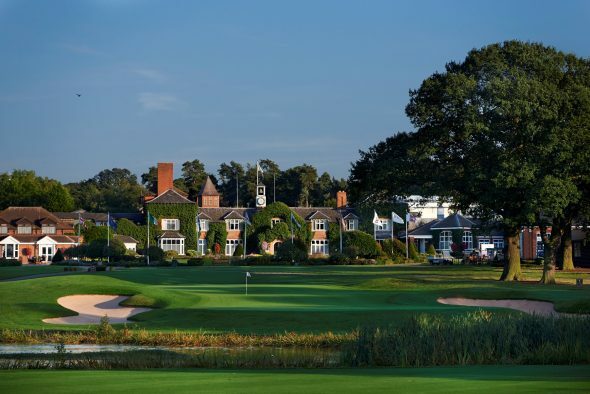 In addition to the world-class golf on offer, guests can experience an evening at The Belfry’s award winning signature restaurant, The Ryder Grill and a night cap in the hotels Brabazon bar, followed by an overnight stay in one of the 319 luxurious guest bedrooms at The Belfry Hotel & Resort. For further information and to make your entry to The Winter Series please click here.